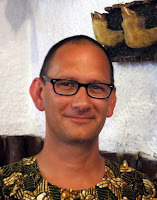 Mark Dike DeLancey is an Associate Professor of History of Art and Architecture and Director of the Islamic World Studies Program at DePaul University in Chicago, Illinois (USA). He wrote an article within the Cameroon chapter of a soon-to-be-published book about African Architecture (DOM Editions), which is how I heard of him (I had written and compiled information for the chapter). As I got to know him via Facebook, I became curious about his background, as he appeared to have extensive ties to Africa in general and Cameroon in particular, beyond his academic specialty. 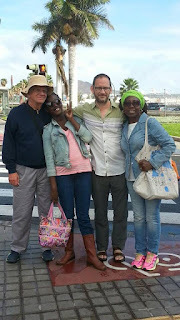 Mark W. DeLancey and Mr. Okororie's wife. His mother’s doctoral fieldwork was on the relationship between women in the workforce and fertility. One and a half years later, the family moved to Nigeria, where his father taught at the University of Nsukka. Mark DeLancey received an Igbo middle name from the headmaster of the school where his parents taught, in Buguma, Sir B.M Okororie (who named his own child DeLancey Okororie), and became Mark Dike (Dike meaning "strong or courageous person"). Six months later, the family returned to South Carolina, where Professor DeLancey Senior (the father) was a professor at the University of South Carolina in Government and International Studies. in 1980, the family moved to Yaoundé (Cameroon) where Dr. DeLancey’s father taught at the University of Yaoundé for a year on a Fulbright grant, before returning again to South Carolina. In 1985, his parents divorced, and the two younger children (in 1978, a younger sister, Elise Deeqa, was born) lived with their mother in Mogadishu, Somalia, and later in Cairo, Egypt. After graduating from high school, Dr. DeLancey attended Oberlin College in Ohio, USA, a well-regarded liberal arts college. It was quite the change for him to live in a colder climate, in a small town of 9,000 inhabitants, after living in the teaming metropolis of Cairo, with 12-15 million denizens! He majored in Combined Studio Art/Art History, after spending another year in Cairo, this time at the American University of Cairo (AUC) studying Arabic and Islamic Art, and taking full advantage of being able to visit the buildings and art he was studying, even speaking with the caretakers! 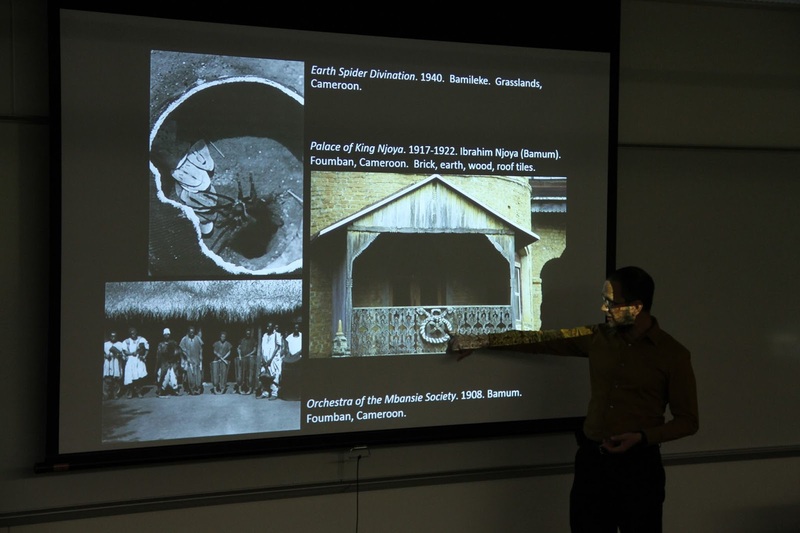 Upon his return to Oberlin, the department chair, seeing the work he had accomplished in Cairo, urged him to continue on the art history path. At that time, very few people were researching Islamic art in Sub-Saharan Africa (those who were: Rene Bravmann and Labelle Prussin); also Professor DeLancey was eager to find a path back to Cameroon, where Islam is practiced in northern Cameroon and part of West Cameroon. Harvard was one of the rare schools to have a graduate program, with tenured professors, in both Islamic and African Art. He was accepted at Harvard in 1996 for the PhD program, and it was there that he attended his first African art class. In 1999 he went to scout out Cameroon research locations, traveling from Maroua to Ngaoundere, and decided that Ngaoundere would be his home base, due to climate and ease of contact. In late 1999 he did archival research in France, Germany, and Switzerland. He returned to Cameroon in early January 2000 for a year, living in the Peace Corps house for a few months, until renting a flat in the Quartier Bamoun neighborhood. His research was focused on the palace at Ngaoundere for the first six months, to attain an in-depth sense of one important palace. It was also a great place to work due to the presence of the University of Ngaoundere, the only university in the Grand North at the time, and the presence of Ngaoundere-Anthropos; the latter was a joint University of Ngaoundere/University of Tromso research institute. Important players in this project were Lisbet Holtedahl from Tromso, Eldridge Mohammadou at Maiduguri, and Hamadou Adama and Gilbert Taguem Fah from University of Ngaoundere, amongst others. It was a complex place to work. He was at least attuned to life in the north and the concerns of a Lamidat. The last six months he spent traveling almost continuously to 14 palaces, going out for several weeks and then returning home for a few days before heading out again. 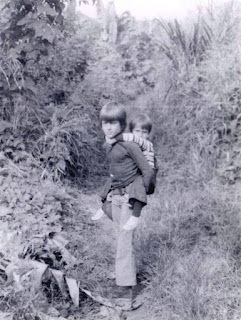 He had no vehicle, so all travel was by minibus, bush-taxi, moto, or riding on the tops of lorries. After returning to Harvard in 2001, he completed his PhD in 2004. 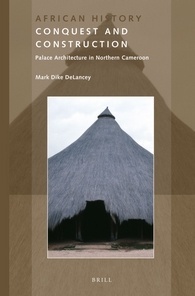 His book on palace architecture was published this year: Conquest and Construction, Palace Architecture in Northern Cameroon (Brill, 2016). In June 2003 he had his first position teaching art history at James Madison University in Harrisonburg, Virginia. In 2006 he moved to DePaul in Chicago, which boasts a more research-oriented environment, museums with African art, and colleagues at DePaul, Northwestern, University of Chicago and more. In the past few years Professor DeLancey took an alternate research interest in calligraphy and manuscripts in Mauritania. This interest came of a chance encounter with professor emeritus of history from the University of Illinois, Charles Stewart, who recently published a two-volume text on Mauritanian manuscripts, which he has worked with for several decades now, but largely as historical documents rather than as aesthetic objects. Professor DeLancey is also working on an article on the palace of King Njoya, Sultan of the Bamoun (West Cameroon), which he hopes to publish in 2017. 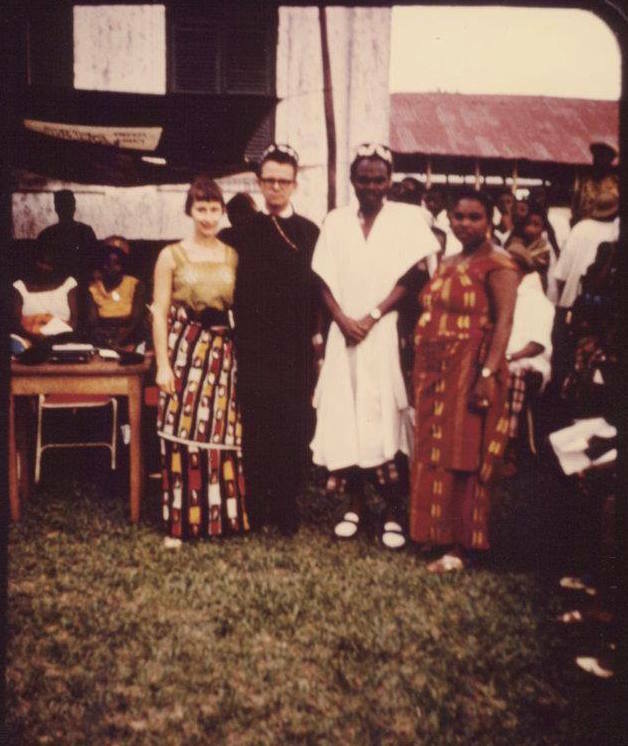 As a child in Yaoundé, Cameroon, Professor DeLancey started learning French at the American School. He started learning Arabic at AUC and continues taking classes on a regular basis to perfect his knowledge of the language. 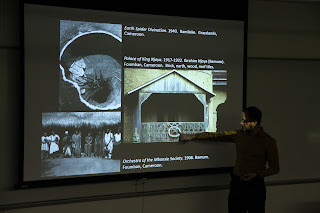 To gain better understanding during his research on North Cameroon palace architecture, he started learning some Adamawa Fulfulde. This language is related to Pulaar, the dialect of Fulfulde spoken in western Africa: as in much of Senegal, Guinea… (Adamawa Fulfulde is grammatically simpler and incorporates much Hausa and Kanuri vocabulary.) He also took an intensive German language class at Harvard in 2001. And... on his personal relationship with Africa... "It's a part of me from the very beginning ... or I'm a part of it. When I fly into Douala and see all that lush greenery below, I get that same joy anticipation of returning as I do going back to SC. The humidity, smells, sounds, food all trigger that deep sense of belonging." As a woman married to someone born and raised in Douala, of Duala descent, and having lived there myself for many years, I know that it is not the most lovable city in the world. So this feeling will be much appreciated by the people of Douala, I am sure! Watch: A video of Professor DeLancey with his students, at the DePaul Art Museum. SW Province, Cameroon, c. 1975. Pr. 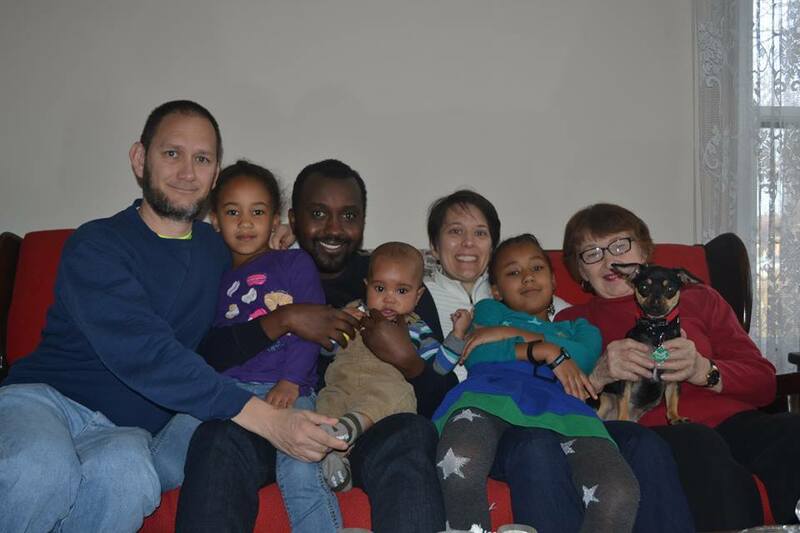 DeLancey's sister Elise Deeqa Mugabo, her husband Liban Ali Mugabo, their eldest daughter Ayaan Mugabo, youngest daughter Aragsan Mugabo, and brother-in-law Aden Muhire. 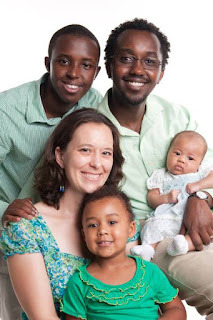 (Not pictured is their now 1 1/2 year old son Mahad Mugabo.) Ms. Mugabo has an international MBA from University of South Carolina and currently works with with the nonprofit organization PSI, that moved the family to Monrovia where they now live. Rebecca Neh Mbuh, and his youngest sister, Margarette. mother Virginia DeLancey, and mother's pup Snuffles.